The school systems of Canada, Finland and Hong Kong are well-known for their outstanding performance – not only in global education rankings but the change they’re inspiring in other education systems around the world. But what are the secrets to their success? In 2011, Canada unveiled an education plan that laid out five important elements of education reform: personalised learning for all students; quality teaching and learning; flexibility and choice; high standards; and learning powered by technology. Working with education partners to redesign the curriculum around these five key areas sent the message that the Ministry would be relying on the professional expertise of teachers rather than issuing a top-down directive. Since these reforms, Canada has emerged as an educational leader in international assessment rankings. As with Canada, Finland’s education system – which is widely acknowledged as one of the best in the world – climbed the global league tables in tandem with evidence-based reforms based on what has the greatest impact on teaching and learning. In particular, Finland’s strong focus on personalised learning, school autonomy and a de-cluttered curriculum, has given students, teachers and flexibility to progress, academically and professionally. Not resting on its laurels, Finland’s Ministry of Education implemented a new national curriculum in 2016 to ensure its school system would remain high-performing and not fall behind amid a period of rapid change around the globe. The new curriculum was further de-cluttered and centered on teaching students “how to learn” instead of “what to learn” – a concept that another high-performing education system, Singapore, is adopting for its schools. While the education system in Singapore is highly centralised, the government has embedded a culture of change, adaptation and innovation in terms of how it runs schools. As pointed out by the Brookings Institute, this practice has led to a higher tolerance for risks and failures are controlled on a much smaller scale. This also allows for a dramatic increase in the number of actors involved in the innovation process, naturally leading to more innovations. Finally, this experimentation process could potentially uncover very effective approaches that could be applicable on a wide scale. In Australia, newly announced reforms by the Federal Government are aiming to bring educational practice in line with the aforementioned top-performers, but in one state, they have been in full-swing for years. The NSW education system has been recognised by education experts for not only the world’s best school funding model but also being one of the most forward-thinking. But like Finland, NSW schools aren’t taking this success for granted. In May, the NSW Government announced that the state’s school curriculum would be de-cluttered as part of the first major review in 29 years. When the NSW Secondary Principals Council’s (NSWSPC) held its annual conference between Tuesday and Thursday this week, high on the agenda was the value of having a curriculum “where less is more”. 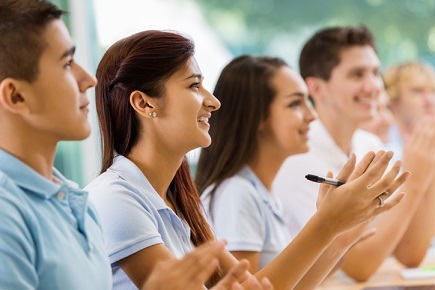 “We have to focus tightly on the concepts and capabilities that we want students to learn and not be so driven by content,” NSWSPC president, Chris Presland, told The Educator. Presland pointed to high-performing education systems such as Finland and the province of British Columbia in Canada as being examples of how a de-cluttered curriculum can leave more room for good teaching and learning. “When you look at some of the top performing education systems in the world and their curriculum documentation, it’s very short. These systems really focus on key competencies and skills rather than just the content,” Presland said.